Square Enix President Yosuke Matsuda says Kickstarter and Steam Greenlight offer valuable lessons on improving the company's relationships and engagement with its customers. Kickstarter, as we all know, is the place where struggling developers go to raise money for their pet projects. More and more, it's also a place where developers who aren't struggling do the same thing, because hey, it's free money. 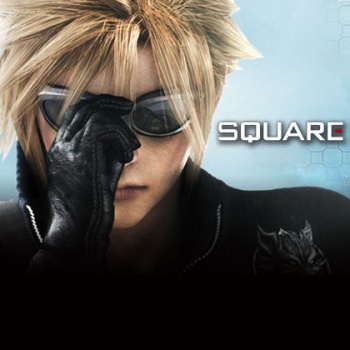 Square Enix is definitely struggling, having lost nearly $135 million in 2012 despite a year-over-year sales increase of more than 15 percent, and in the wake of that rather puzzling fiscal outcome it is looking at Kickstarter - not for money, however, but for ideas. Matsuda said during a financial results briefing that one of the biggest challenges facing major game publishers is the lengthy and growing gap between game releases, which can mean stretches of several years without "revenue opportunities" and, just as bad, a loss of engagement with customers. His hope is that bringing people under the tent will help them reconnect with Square Enix and its games, and he sees systems like Kickstarter and Steam Greenlight as good ways to do it. "There is a crowdfunding website called 'Kickstarter,' which does not only serve as a method of financing for developers, but I believe should also be seen as a way to unite marketing and development together by allowing us to interact with customers while a game is in development," he said. "Valve's Steam Greenlight and Early Access are also very interesting, in that they raise the frequency by which we interact with customers, increasing their engagement and reflecting customer needs. We are also looking at what initiatives are possible from this perspective." "What should we present to our customers before a game is finished, how can our customers enjoy this, and how do we connect this to profitability, is something we are thinking about implementing, and which can improve our asset turnover in the process," he added. Square Enix's problems obviously run deeper than just inadequate "likes" on Facebook and it's casting a wide net as it seeks solutions that include a deeper investment into mobile gaming. But an alienated customer base is bad news for any company, and none more than those that rely on a relative handful of products released sporadically over multiple years. Kickstarter isn't going to cover Square's annual financial losses, but Matsuda might just be on to something anyway.